So, before I forget the password to my food blog, I decide to post the last 2 memorable meals that I rustled up. 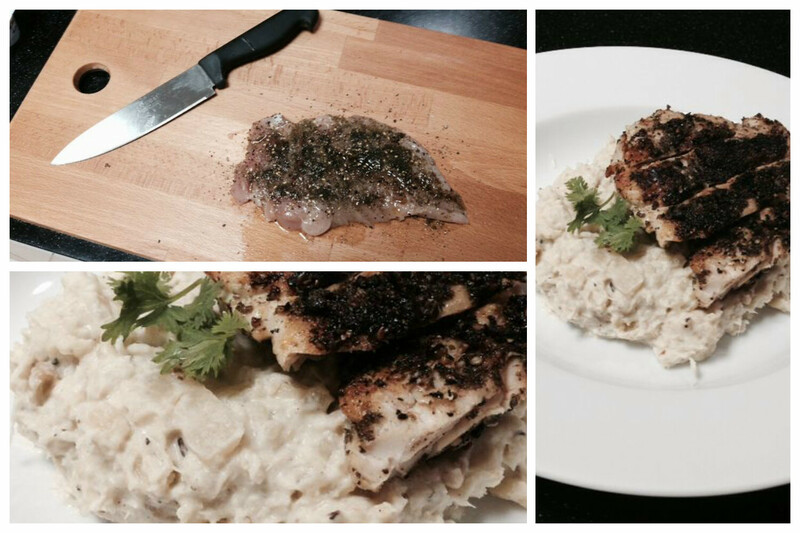 This one is “Zaatar Grilled Chicken on a bed of Sweet Potato Mash”. Ever since I have started grilling, I realise that the meats remain the constant. The variable (read accompaniments) need to be varied timely to keep any recipe alive. This is just my rusted a-mathematical brain trying to postulate a theorem. If you want to skip this bit (and not know me) then scroll down to the recipe directly. Peel the potatoes and set them to boil. I usually cut them up into quarters to ensure even and quicker cooking. While the spuds are bubbling away, prepare the chicken. Beat it lightly with a mallet to get it to even thickness. Then apply salt and pepper to both sides. Then add about 1 to 2 teaspoons of fresh za’atar to one side. Add a small drizzle of olive oil and let the chicken rest. Check on the potatoes. They should almost be done. Run a knife to see if they are softening up. Once they do, drain the water, transfer the spuds to a bowl and start mashing them up. Throw in a knob of butter and a hint of oregano. Mash them further. Use all the force you think you have when you watch The Dark Knight wrestling Bane. Add in the cream and mix it all together. Add salt and pepper. And now for the dreaded part of checking on your cooking prowess – taste a bit of the mash. Good? Great! Leave it for the time being. 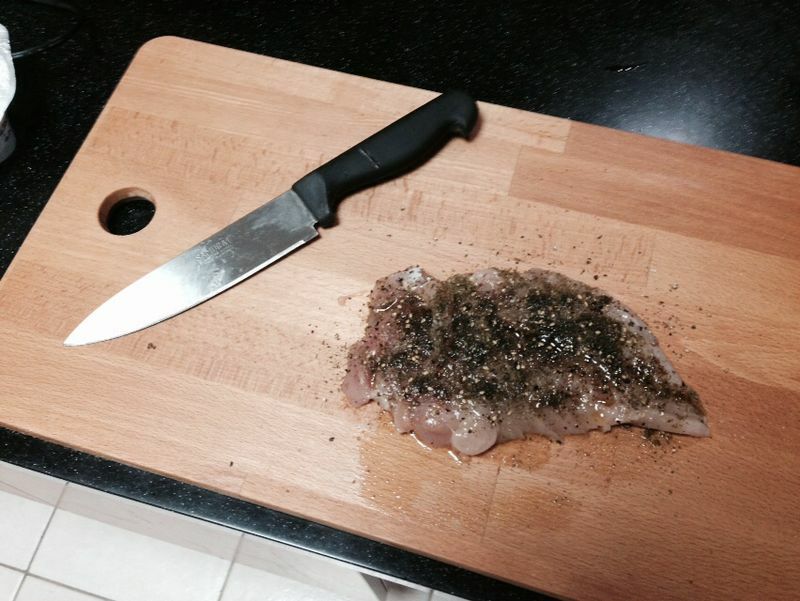 Get your skillet out and have it nice and hot and carefully place in your chicken. Grill both sides. You’d notice that the za’atar side darkens up. Do not fume. It is only crusting up and becoming more flavourful. Once done, rest the chicken. Slice them up and serve on a generous bed of creamy mashed sweet spuds. What I loved most is how the za’atar revealed all its flavours while on the grill. 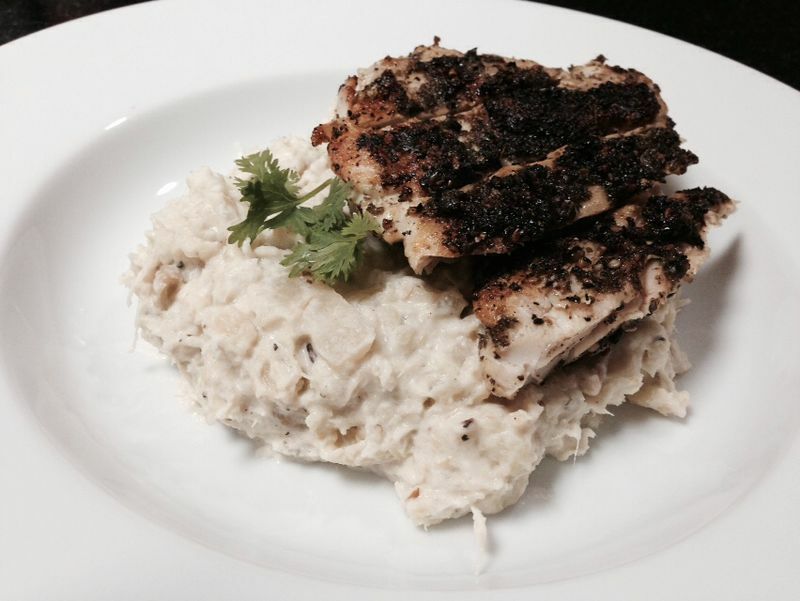 You will love the prominent sesame crunch to the grilled chicken. On my #Burp&Belch meter, I’d give it 3 and 1/2 burps (out of 5)!